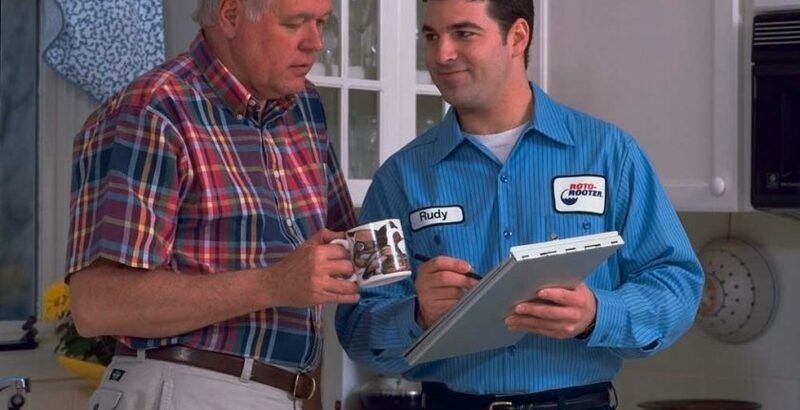 Dishwashers are an important component of daily life for homeowners in Thousand Oaks, and when the walls and floors become stained from water damage, Roto-Rooter works to find the leaks quickly and efficiently and restore your dishwasher. The symptoms of a dishwasher experiencing problems include dirty water becoming trapped inside of the appliance. Through our inspection, our diagnosis usually reveals that the water supply line has become clogged with food particles or other organic materials. Not only can we effectively remove these clogs with practical cleaning equipment, but we can also replace the dishwasher if need be. Sometimes, complications with the dishwasher can result in the garbage disposal not working properly. Due to the close-quarters nature of these systems beneath the sink, there is a system in place that keeps these systems from backing up into each other and creating problems. If the water line has become clogged, this can result in the garbage disposal backing up into the dishwasher and preventing it from working efficiently. We are prepared to fix these abnormalities and restore your systems back to proper functionality. The symptoms of dishwasher malfunctions are variable, but we make sure to accurately diagnose it every time so that the right solution presents itself and the problem is completely resolved after our first visit. We have the experience and equipment to install and replace all varieties of dishwasher brands, which ensures that we will be able to meet your requirements. We make sure our repairs are done quickly because we understand that having to go for long periods of time without being able to use the dishwasher to clean the plates and silverware in your home is far from convenient. For your dishwasher repair needs in Thousand Oaks, call Roto-Rooter to learn more about how we can restore these systems efficiently.